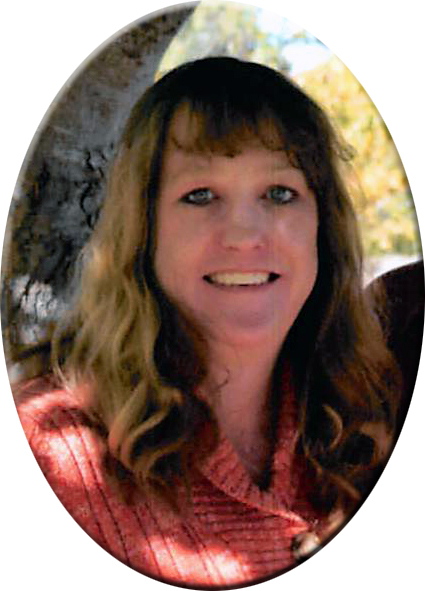 Amy Jo (Mattoon) Griffith, 50, of West Burlington, died at 2:40 PM Sunday, January 27, 2019, at home. Born April 28, 1968, in Burlington, she was the daughter of Carl Carman and Sharon Warner. On August 1, 1992, she married Steve Mattoon in Burlington, they later divorced. On September 9, 2017, she married Mark Griffith in Burlington. Amy worked as a cook for Hooligans, Casey's, the Iowa and Walmart Bakery Dept. She most recently worked in the kitchen as a dietary aide at Rosebush Gardens. She was a graduate of Burlington High School and then attended SCC. Amy attended Burlington Baptist Church. She was an avid Cubs fan, enjoyed cooking, playing cards and darts, loved her pets, watching Law & Order as well as old tv shows and talking on the phone with loved ones. Amy loved spending time with her grandchild, Brentlee and her family. Survivors include her husband, Mark Griffith of West Burlington; two daughters, Krystal (Darrick) Blair of Burlington, Kimberlee (Matt Pohlman) Mattoon of Keystone, IA; one grandchild, Brentlee and another one on the way; her parents; one brother, Scott Carman of West Burlington; and numerous nieces and nephews. Amy was preceded in death by her maternal and paternal grandparents, step-mother, Rosie Carman and one brother, Dustin Ruggles. Visitation will be from noon until 7:00 PM with the family to receive friends from 5:00 PM until 7:00 PM Monday, February 4, 2019 at Prugh~Thielen Funeral Home. The funeral service for Mrs. Griffith will be 10:00 AM Tuesday, February 5, 2019, at Prugh~Thielen Funeral Home with Reverend Kendall Adams officiating. Burial will be in Aspen Grove Cemetery. A time of food and fellowship will be held at the Fraternal Order of the Eagles Burlington Aerie 150 following the burial. Amy Griffith Funeral Service from Prugh~Thielen Funeral Home on Vimeo.